This is my top recommended carrier for any serious hiking or camping, especially in less than ideal weather conditions and/or lots of dirt and mud. Since the weight limit is 75 pounds and the design fits a carrier’s body so well, I also recommend it especially for bigger kids. Babies under 15 pounds and/or shorter need a boost from a small blanket (or use their Baby Booster), but it’s a quick and easy fix. Please be sure to head over and read my full review of the Onya Outback here (it’s been updated since my original post 2.5 years ago!). Also, if you haven’t seen it before and are looking for a baby carrier, The Great Babywearing Project has a whole list of comprehensive reviews we have done. Over the past 6 months or so, we have been actively carrying Adventure Medical Kits. Really, this shouldn’t be something new to us. And mostly, it isn’t. Mtn Papa is the one that is so good about making sure we are prepared and always has something for minor issues in the least. 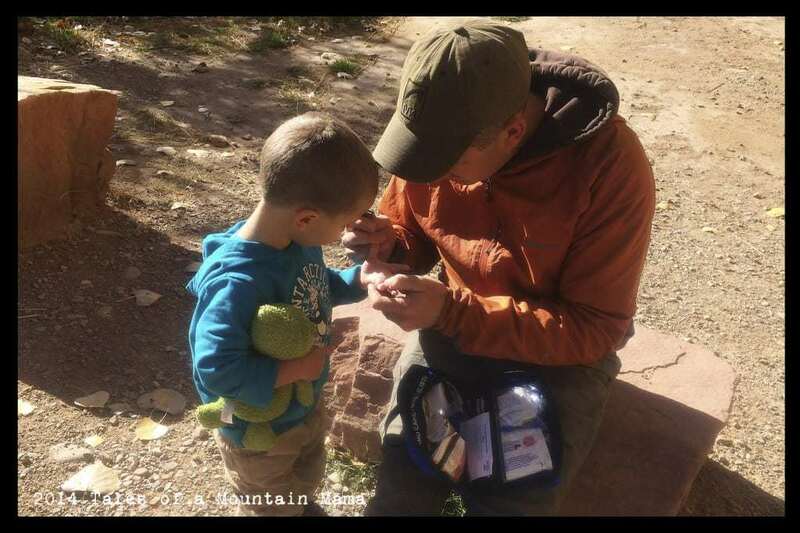 But, I will admit that I get so preoccupied about making sure that I have all three kids with us AND the gear that they need, that I tend to forget medical supplies unless we are on an extended hike or camping trip. Lame excuse, but it’s true. Not a big deal when we are together as a family and Mtn Papa remembers – bigger deal when I have the kids out by myself (which is often in the summer especially). Adventure Medical Kits has a wide array of full kits to make it easy to have what you need, when you need it for minor to moderate (and major to a degree) emergencies. The supplies are clearly marked so replacing them is easy (on your own or through their site) and they include some instruction guides to walk you through the bigger emergencies. There’s a full line-up on their site. We use the Day Tripper ($33) for many of our hikes and in conjunction with the Family kit if we have more people with us. The Family kit comes with the Caring for Children in the Outdoors small booklet which is super helpful. Pockets are labeled clearly so it’s easy to find materials quickly and then replace them afterwards. The Family Kit helps treat pain and illness, sprains and fractures, and has instructions and medicines for children AND adults – enough for a whole group of people (up to 4). 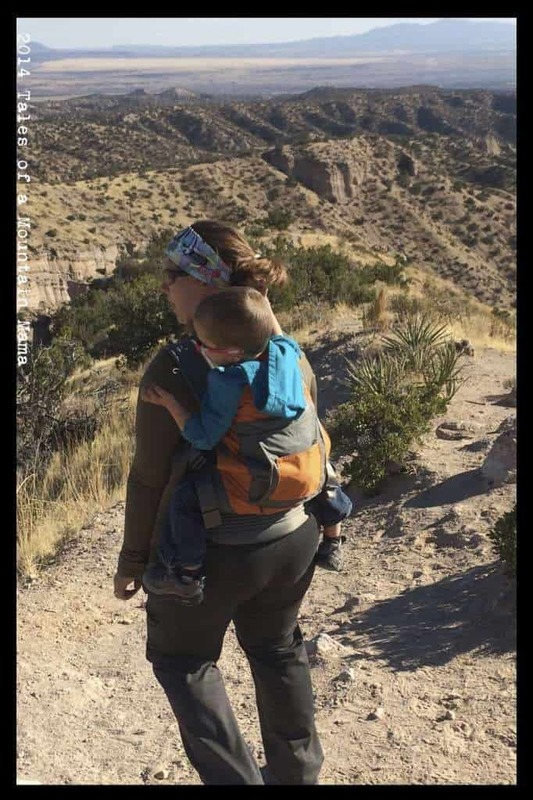 It’s a little on the bigger side for carrying in a day pack, but does have a smaller kit you can take out to put in the glove box, stroller, etc. This is the kit we have ready for at home, traveling AND on the trail. This is something new – mailings start in January – and is a great way when YOU are traveling, but the kiddos are left at home OR just a way for kids to get fun mail and learn about the world around them. Rocket Bear is a postcard subscription service for kids ages 3 – 8. Rocket Bear travels around the world and each week he sends his friends a postcard from the place he travels to. 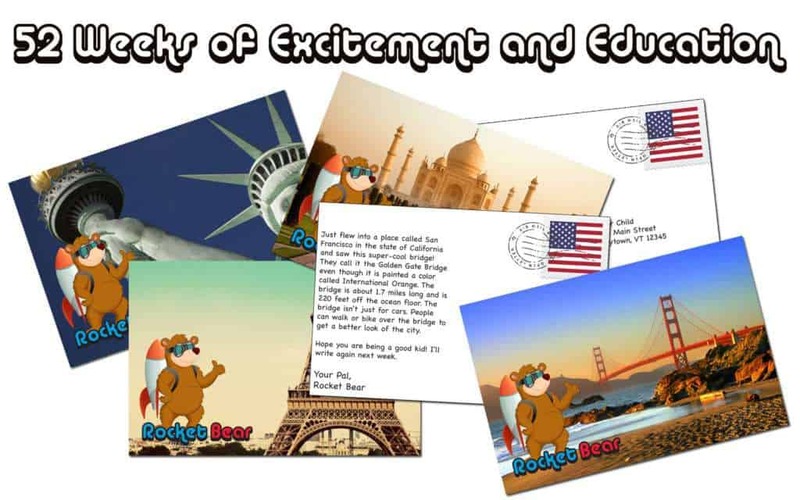 The postcards feature fascinating facts and information about where Rocket Bear is, a positive note to the child and a full‐color photo on the front. 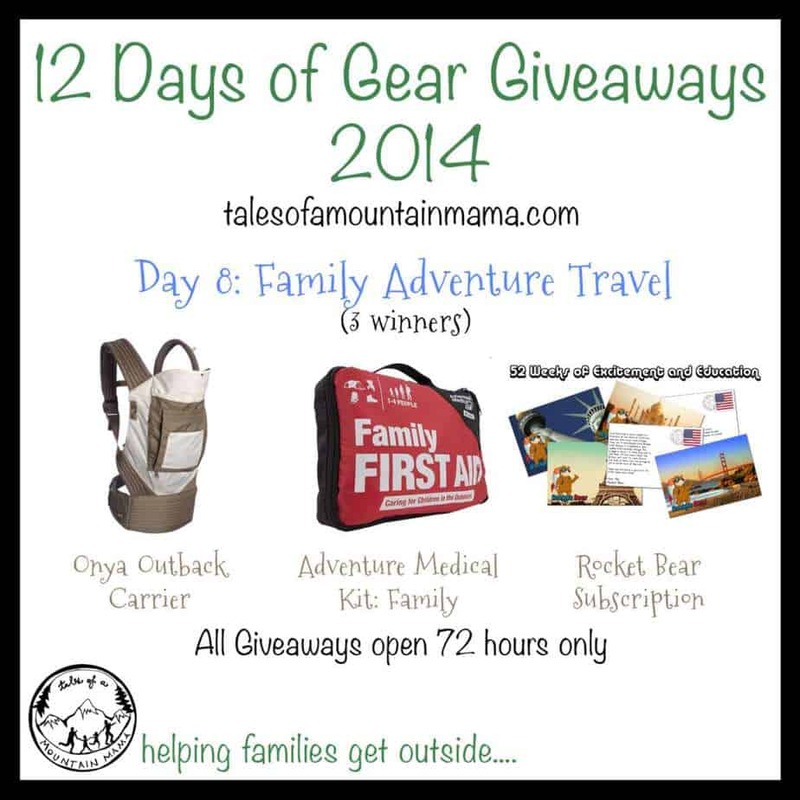 As usual, please use the Rafflecopter Widget below to enter to win. The winner will be emailed and announced on this post in the Rafflecopter Widget. Entries will be verified. Winners will have 48 hours to respond or a new winner will be chosen. These giveaways are open to US only today. 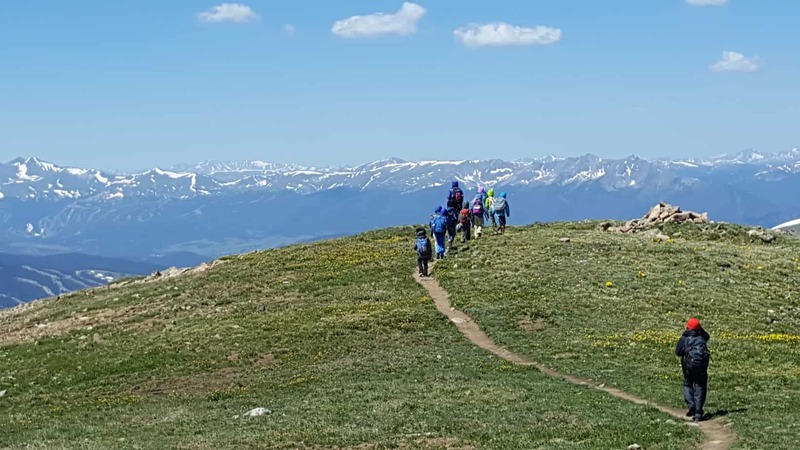 Hike 2015 – Join us! 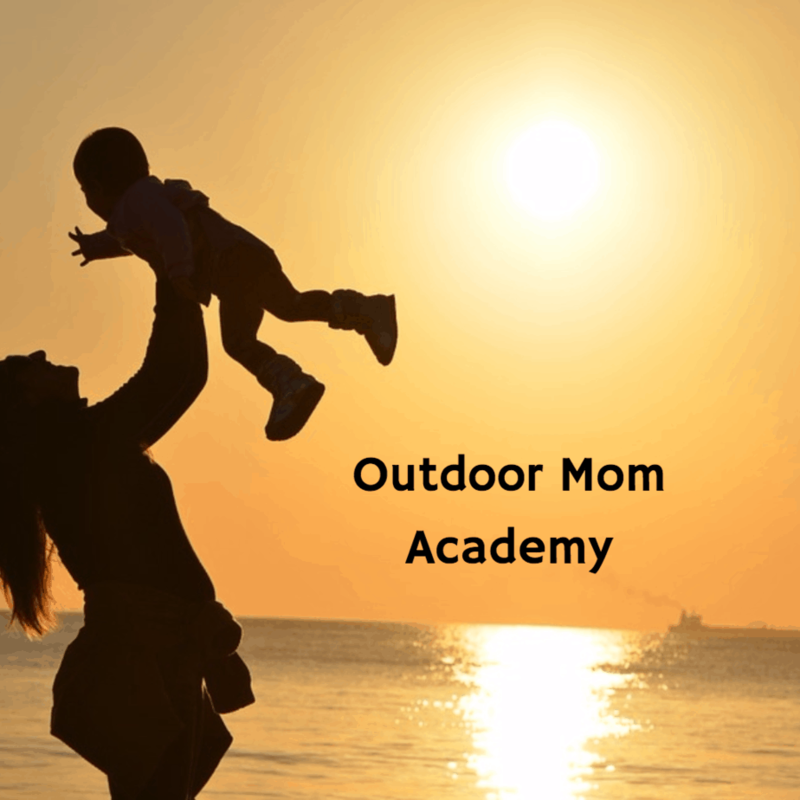 Outdoor Mom Academy now OPEN!!! 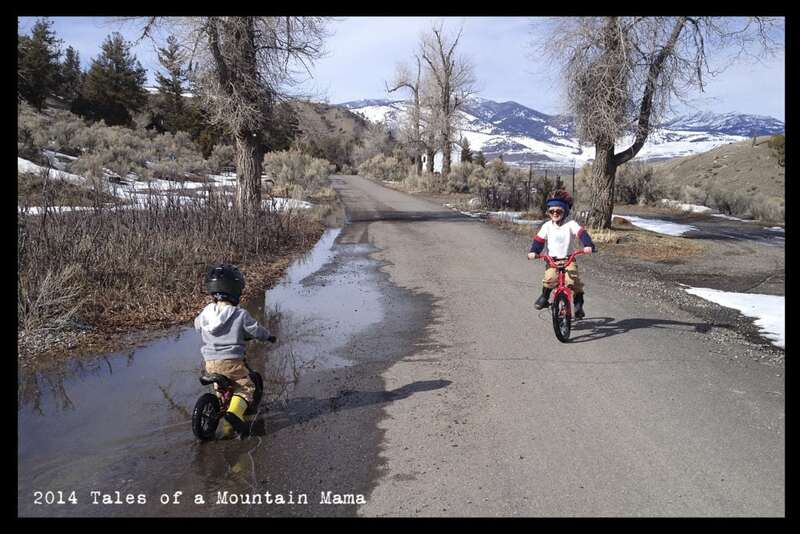 An Invitation for Adventure for Kids of All Ages + CAMP DISCOUNT CODE!